Swimlanes are horizontal separations in your board. For example, it’s useful to separate software releases, divide your tasks in different products, teams or whatever you want. All projects have a default swimlane. If there is more than one swimlane, the board will show all swimlanes. You can drag and drop tasks between swimlanes. 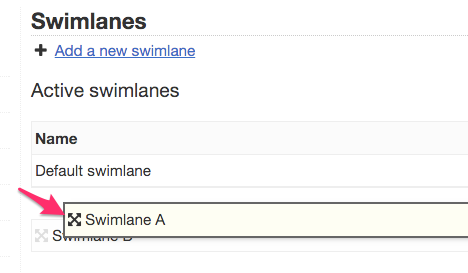 To configure swimlanes go to the project configuration page and choose the section Swimlanes. 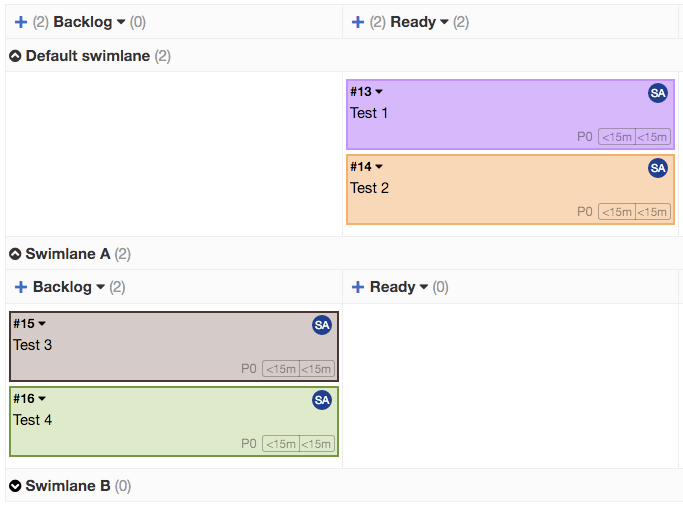 From there, you can add a new swimlane or rename the default one. You can also disable and change the position of the different swimlanes. The default swimlane is always on the top but you can hide it. Inactive swimlanes are not shown on the board. Removing a swimlane doesn’t remove tasks assigned to it, those tasks will be moved to the default swimlane.